A rough estimate of three out of four people in America own a computer. Based on a recent social networking seminar I attended through Murphy Insurance in Waunakee….the “yellow pages” will be near extinct in the next five years. If your company is doing all they can to be seen and found on the internet…their name should be listed at the top of the searches and you shouldn’t have to use the “yellow pages”. to search for a business. Go ahead and google and yahoo us…..see what you can find! As the year winds down, we have went from landscaping immediately into snowplowing for the season and 2010 is flying by. We want to take a moment to thank all of our clients and business professionals that we have associated with over the past few years and wish them a joyous and prosperous 2011. We look forward to working with everyone again. It takes a team to build a community and a community to support each other. We thank you and wish you happiness in the new year to come. 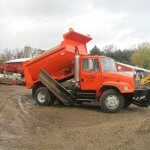 Monday was Snowplow Driver Appreciation day…..
We are making it Snowplow Driver Apprecation WEEK! 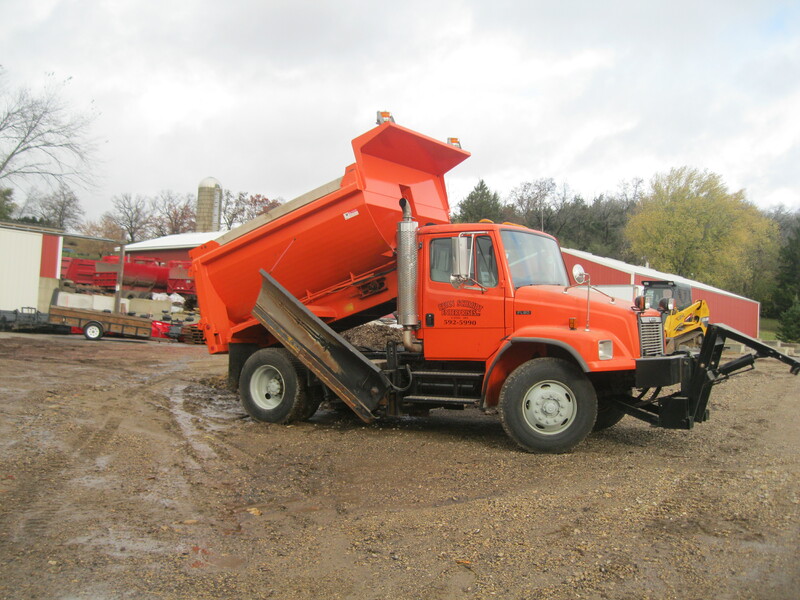 Thank you to all of our snowplow drivers at Brian Schmidt Enterprises, LLC who dredge through snow storms and ice in the middle of the night and work long hours to keep the roads, driveways, parking lots, and sidewalks clean for our Lodi Businesses! They are head first into the snow trying to plow snow, clean all areas of snow and ice, and always staying safe on the road. We salute you guys! Keep up the good work! 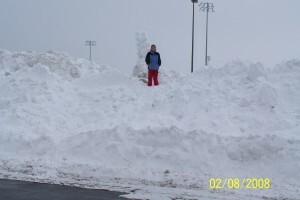 We had a record set year in 2007-2008 of over 100 inches of snow. While most kids and adults LOVE all that snow….homeowners know the consequences of that snow melting. Be aware of where you are piling your snow during the winter months. Pile it away from your home/garage/shed foundations. And, if needed, hire an equipment contractor to haul it away. Mother Nature is always surprising us with the weather! Time to get your outdoor furniture inside, clean up your leaves, and find the spot on your lawn to make a snow mountain for your kids to slide down on!! 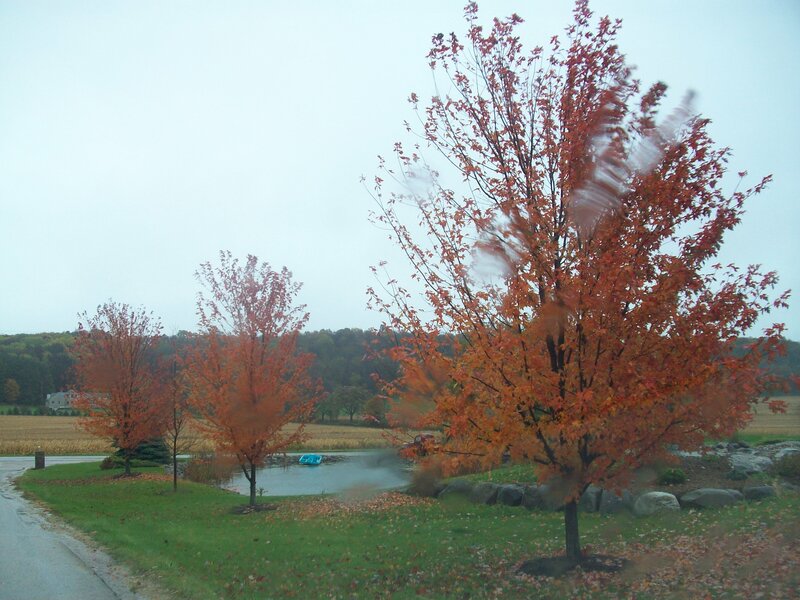 Fall is the best time to plant your trees!!! It’s Labor Day Weekend…how does your lawn look? Is it bbq ready?? Does your lawn need some color? Don’t be embarrassed by how your lawn looks! Revamp, renew, and review your lawn….we can help you!! do you have a landscaping question? let us know by dropping us a line! we are on the road before our competitors are even up in the morning! did you know that we recycle our field boulders? 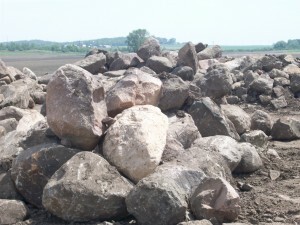 part of our boulder piles! Paver Patios are the latest landscaping craze! !